ACS Calibration offers laboratory and on-site pawn shop scale calibration in Alabama. ACS Calibration is registered with the Alabama Department of Agriculture and Industries Weights and Measures Division as a Certified Scaleman. 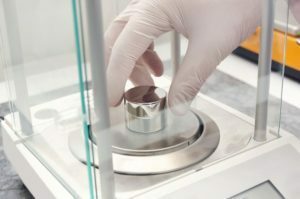 Our ISO / IEC 17025 accredited, Alabama state certified, National Institutes of Technology (NIST) traceable pawn shop scale calibration in Alabama will ensure that your instruments can be trusted for accuracy and repeatability. ACS Calibration is committed to providing our customers with high quality pawn shop scale calibration in Alabama that comply with the Alabama Pawn Shop Act and to help customers meet their regulatory needs. Alabama state law requires that pawn shop scales in Alabama are Legal for Trade. 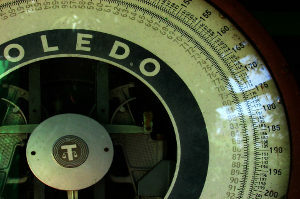 Use this tool to determine if your pawn shop scale in Alabama is Legal for Trade. We are willing to travel to help our clients with their pawn shop scale calibration in Alabama. ACS Calibration has the experience and capabilities to meet your pawn shop scale calibration in Alabama requirements. We use the state of Alabama recommended pawn scale calibration procedure based on your application and requirements. ACS Calibration offers free audit support for customers regarding calibrations. We will file all of the necessary paperwork with the state of Alabama and provide all documentation to you. For the fastest calibration service, choose on-site pawn shop scale calibration in Alabama. When calibration testing is performed onsite, instruments are returned to rotation immediately. ACS Calibration has a wide range of capabilities to perform on-site calibrations of your instrumentation. On-site calibration services both reduce the amount of down time and eliminates the need for costly backups of instruments. Rather than shipping your equipment out and waiting weeks or longer for the item to return - schedule an on-site calibration event with us and let our technicians come to you. ACS can document the instrument department, location, user, and additional pertinent information to ensure your assets are identified and managed in accordance with your regulatory requirements. Click here to learn more! ACS Calibration strives to maintain a quick turnaround time for all of our clients requesting pawn shop scale calibration in Alabama. A key factor in client satisfaction, in addition to the quality of calibrations performed, is the turnaround time. Our technicians strive to get the job done as efficiently as possible while maintaining the high quality of service that has become expected of ACS Calibration. Do you have a specific turnaround time request? We can work with you to ensure that all of your requests are met. Click here to learn more!